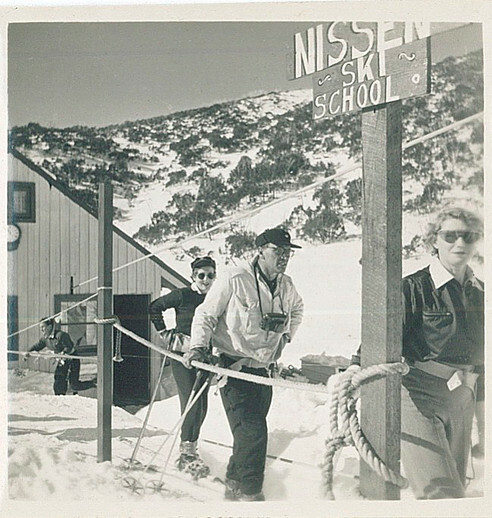 One of the more interesting aspects of how Falls Creek was created is the construction of the alpine resort’s first ski lodge 70 years ago. It was a humble beginning to what is now a vibrant European-style ski village that attracts thousands of snow enthusiasts of all abilities each winter season. An intrepid number of like-minded State Electricity Commission (SEC) staff including Ray Meyer, the chief surveyor of the Kiewa Hydro-Electric Scheme, had a common interest that revolved around the skiing potential of the snow-covered high plains that included what is now the 450-hectare resort of Falls Creek. The six SEC employees Toni St Elmo, Ray Meyer, Jack Minogue, Lloyd Dunn, Adrian Ruffenacht and Dave Gibson (together with their families) banded together to secretly build a 'hut' that was the first ski lodge at Falls Creek. Using a road built in 1930's to gain access to Falls Creek the hut project was quite a bold move and was carried out in secret owing to earlier efforts by other skiers being stymied by HHC Williams - the engineer in charge of the Hydro Scheme. 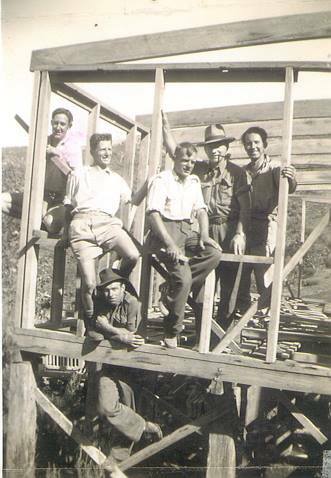 Another significant event in the erection of the first ski lodge at Falls Creek was a trip to the Lands Office in Melbourne by Ray Meyer in 1946 (the same year the name of the resort was officially changed from Horseshoe Creek to Falls Creek). It proved to be a masterstroke, he came away with a 99-year lease on three acres that was ideally suited for a hut designed by Lloyd Dunn. Adrian Ruffenacht (Design Engineer for the KHS) had suggested where the group should build owing to easy access to a spring for water and much of the building material required was scavenged from derelict huts on the high plains. Owing to the need for the work on the lodge be kept as secret as possible, because H.H.C Williams was not particularly supportive, they toiled away in the evenings and weekends knowing very few SEC staff would be about. Another significant aspect of this remarkable feat was the decision to rename the hut. During the building period the group had met at Echidna Rock (now known as Eagle Rock) where Skippy St Elmo announced "This is my favorite "Skyline". Adrian Ruffenacht, agreed, saying it would be an appropriate name for our club. 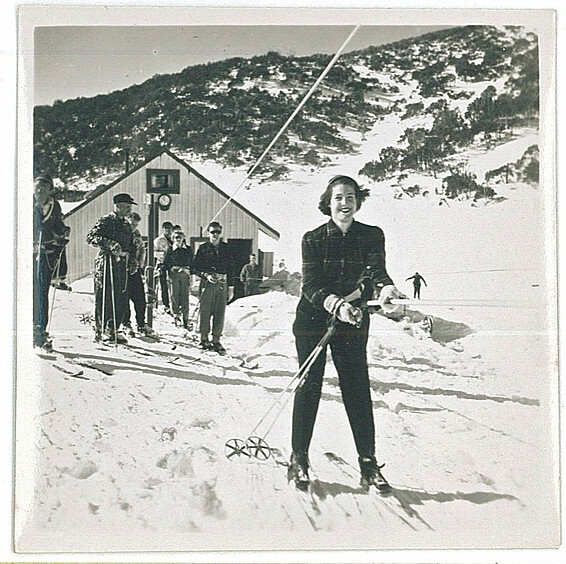 Toni St Elmo suggested it was a time when the name Hut should be dropped and replaced with Lodge.” Hence it became 'Skyline Ski Club Lodge' the first ski lodge at Falls Creek.